Visit Georgia, Armenia and Azerbaijan – three South Caucasus countries in one holiday and discover this fascinating part of the world famous for its ancient cultures, amazing landscape and hospitable peoples. You can modify the itineraries or ask for the alternative holidays with various combinations of these countries. Below we offer 14 and 12 day tours. We start our tour in Yerevan, at the foot of Mt Ararat and visit many beautiful Armenian churches and monasteries as Khor Virap, Echmiadzin and Geghard. Then we head on to Lake Sevan. Armenia is the country where the legends still live and history walks before your face. From Armenia we move to Georgia. Having explored its historic capital Tbilisi, we visit some of the major highlights of Georgia as Mtskheta, Uplistsikhe and Vardzia cave-monastery. We journey to the heart of the Caucasus Mountains where we do not miss the chance to take easy walks in great nature. Finally we travel to Kakheti, Georgia’s famous wine district dotted with fine old churches and vineyard after vineyard. In Azerbaijan we discover ancient monuments and colourful fine arts. There we can view some of the world’s most famous carpets and ancient Zoroastrian fire temples. 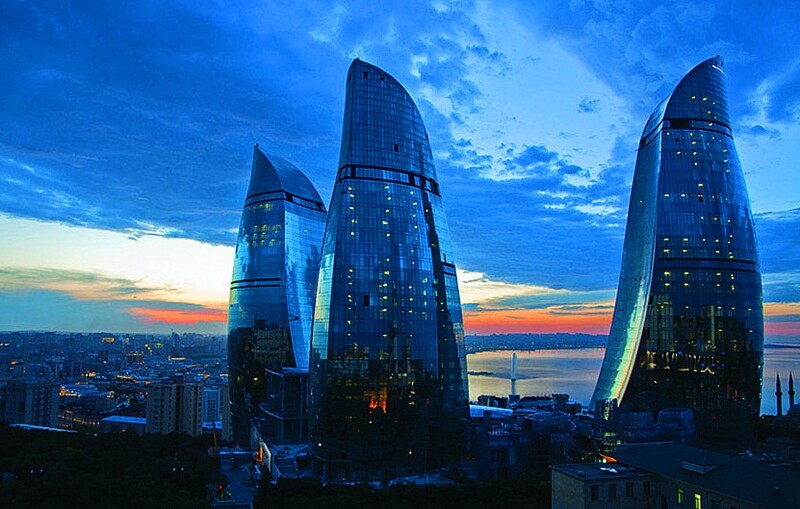 Explore Azerbaijan’s capital, Baku and its medieval walled city on the shore of the Caspian Sea. Outline Itinerary: Day 1: Arrival in Yerevan. Day 2: City tour of Yerevan. Excursion to Echmiadzin and Zvartnots. Return to Yerevan. Day 3: Excursion to Garni Temple. Visit Geghard Monastery, one of the highlights of Armenia. Trip to Khor Virap Monastery with its magnificent view of Mt. Ararat. Return to Yerevan. Day 4: Trip to Lake Sevan and then to Haghpat Monastery. Arrive at the border with Georgia. Cross the border and drive to Tbilisi. Day 5: City tour of Tbilisi. Day 6: Excursion to Mtskheta, the ancient capital of Georgia. Trip to Gori. Excursion to Uplistsikhe cave-town. Drive to Bakuriani, nestled in the Mountains of the Lesser Caucasus. Day 7: Excursion to Vardzia cave-monastery. On the way stop at Khertvisi fortress. Overnight in Bakuriani. Day 8: Trip along the Georgian Military Highway. On the road stop at Ananuri Fortress. Overnight in Gudauri. Day 9: Explore Kazbegi and enjoy wonderful views of the Caucasus Mountains, including Mt. Kazbek, 5047m. Hiking to Gergeti Sameba Church. Return to Tbilisi. Day 10: Trip from Tbilisi to David Gareji Monastery, one of the highlights of Georgia. Arrive in Sighnaghi hill-town in Kakheti province. Possible visit to one of the wineries en route. Overnight in Kvareli or in Telavi. Day 11: Excursion to Gremi architectural complex. Arrive at the border with Azerbaijan. Cross the border and trip to Sheki, Azerbaijan. Day 12: Sheki sightseeing tour. Visit to the local medieval fortress, Sheki Khans’ palace, local museum of history, local handicrafts workshop. Transfer to Baku On the way visit to “Diri Baba” mausoleum in Maraza village, historical mosque Juma and mausoleum of Seven Domes – “Yeddi Gumbez” in Shamakha town. Arrival in Baku. Day 13: City tour of Baku. Visit also Absheron Peninsula with the Temple of Fire Worshippers’ – “Ateshgah”. Day 14: Departure from Baku. Outline Itinerary: Day 1: Arrival in Yerevan. Day 2: City tour of Yerevan. Excursion to Echmiadzin and Zvartnots. Return to Yerevan. 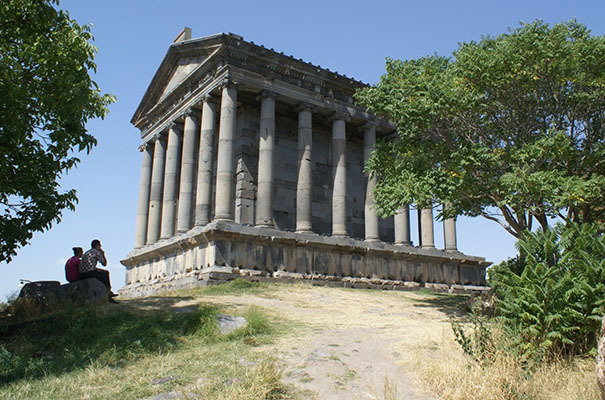 Day 3: Excursion to Garni Temple. Visit Geghard Monastery, one of the highlights of Armenia. Trip to Khor Virap Monastery with its magnificent view of Mt. Ararat. Return to Yerevan. Day 4: Trip to Lake Sevan and then to Haghpat Monastery. Arrive at the border with Georgia. 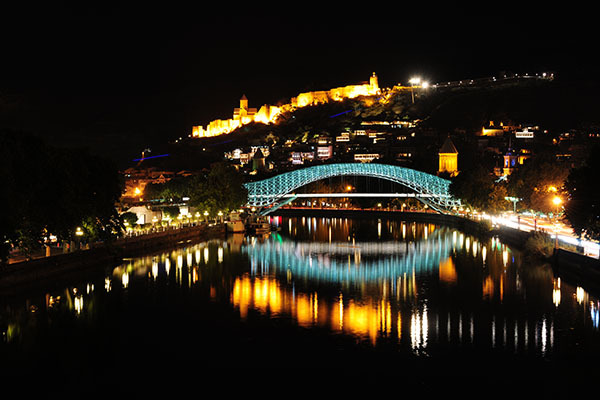 Cross the border and drive to Tbilisi.Day 5: City tour of Tbilisi. Day 6: Excursion to Mtskheta, the ancient capital of Georgia. Trip to Gori. Excursion to Uplistsikhe cave-town. Trip along the Georgian Military Highway. On the road stop at Ananuri Fortress. Overnight in Gudauri. Day 7: Explore Kazbegi and enjoy wonderful views of the Caucasus Mountains, including Mt. Kazbek, 5047m. Hiking to Gergeti Sameba Church. Return to Tbilisi. Day 8: Trip from Tbilisi to Kakheti province. Arrive in Sighnaghi hill-town. Possible visit to one of the wineries en route. Then we visit Tsinandali, Gremi architectural complex. Overnight in Kvareli or in Telavi. Day 9: Excursion to Gremi architectural complex. Arrive at the border with Azerbaijan. Cross the border and trip to Sheki, Azerbaijan. Day 10: Sheki sightseeing tour. Visit to the local medieval fortress and Sheki Khans’ Palace. Transfer to Baku On the way visit to “Diri Baba” mausoleum in Maraza village, historical mosque Juma and mausoleum of Seven Domes – “Yeddi Gumbez” in Shamakha town. Arrival in Baku. Day 11: City tour of Baku. Visit also Absheron Peninsula with the Temple of Fire Worshippers’ – “Ateshgah”. Day 12: Departure from Baku. Please, contact us for detailed information and price.